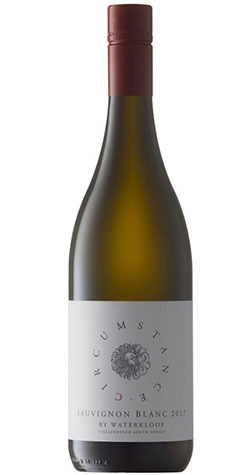 The Chenin Blanc aromas are prominent on the nose, with stone fruit and floral notes showing off. Sauvignon blanc is a varietal that shows terroir very well. In this wine, the Schapenberg comes through with hints of lime combined with notes of gooseberries. The palate shows great balance and has a long and elegant finish. Enjoy it with a variety of dishes, especially seafood such as salmon ceviche or a crab salad – just keep it simple! At Waterkloof, we use organic and biodynamic methods based on Old World, sustainable practices in our vineyards to ensure that the vines are nourished and in balance. Our soils are free of chemicals and are kept healthy by using plant extracts, fungi, and bacteria from our own, natural compost. These traditional methods, combined with a southwest-facing, windy vineyard site ensure a balanced vine with a naturally low production and intense flavours. The vineyards are about 5 kilometers from the sea and are planted at a height of between 270 and 300 meters above sea level. The soils are of sandstone origin with medium-sized stones, helping with drainage and also with moisture retention. The vineyards are an average age of 20 years. Waterkloof is located on the southwest facing, low-yielding and windswept slopes of Schapenberg (overlooking False Bay). Here the blustery southeastern (and sometimes the northwest wind as well) churns up the vineyards with regularity. This not only allows for a very low yield, but the flavours intensify a flinty minerality. We use organic and biodynamic winemaking methods and adhere to Old World, sustainable practices in our vineyards to ensure that the vines are nourished and in balance. Our soils are free of chemicals and are kept healthy by using plant extracts, fungi, and bacteria from our own organic compost. The two single vineyard blocks which we used are about four kilometers from the sea and are planted at a height of between 270 and 300 meters above sea level. The soils are of sandstone origin with medium-sized stones, helping with drainage and moisture retention. The vineyards are 20 years old.